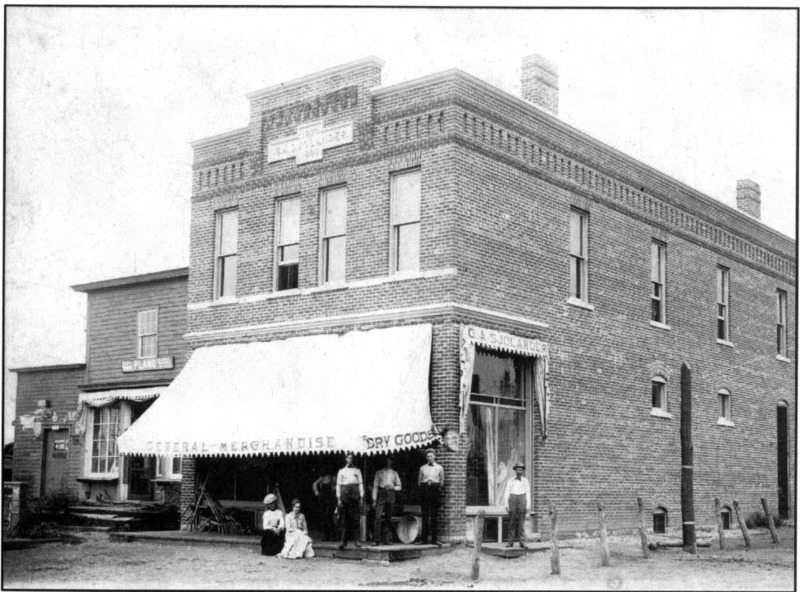 What is known as Jostad's Store at the corner of Main and State streets opened in 1870 when Peter Sjolander built an addition to an existing building, using the original room for a grocery store. The present brick building was erected in 1899 by C.A. Sjolander, in 1903, Anton Jostad bought the stock in the store and formed a partnership with Alfred Thoreson and Julius Berg. The firm was known as A.O. Jostad Co. Store. An addition was completed in 1905. Filled to capacity, the store sold groceries, furniture, men's clothing, and hardware. Items such as sugar, rice, oatmeal, flour, and cookies were weighed out from barrels. Store hours were 7 AM to 9 PM, except on Sundays, when the store was closed. In 1956, the store and its contents were purchased by Jerry Dahl and Conrad Jostad, who continued its operation until 1959, when it closed. The store currently houses small businesses and apartments.